Blick Mega Brushes are perfect for big projects. 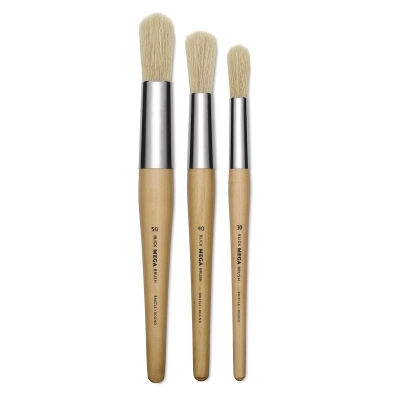 A mid-level of firmness makes our Natural Bristle brushes the most spontaneous and expressive of our bristles. 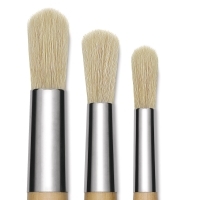 High-quality brush hairs are set in nickel-plated brass ferrules. 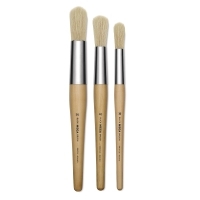 Short hardwood handles.